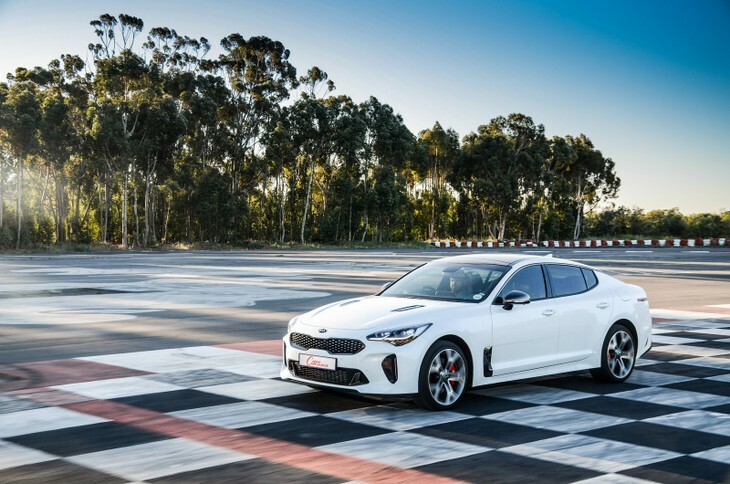 Kia’s sports sedan (or GT, in the Korean brand's opinion) is more than a new product, it's a bold statement of intent on the brand's part. Kia sold a handful of units to South African customers; it was, in all likelihood, the importer's only allotment. However, when all is said and done, how well does the brand's halo model compare with its rivals? 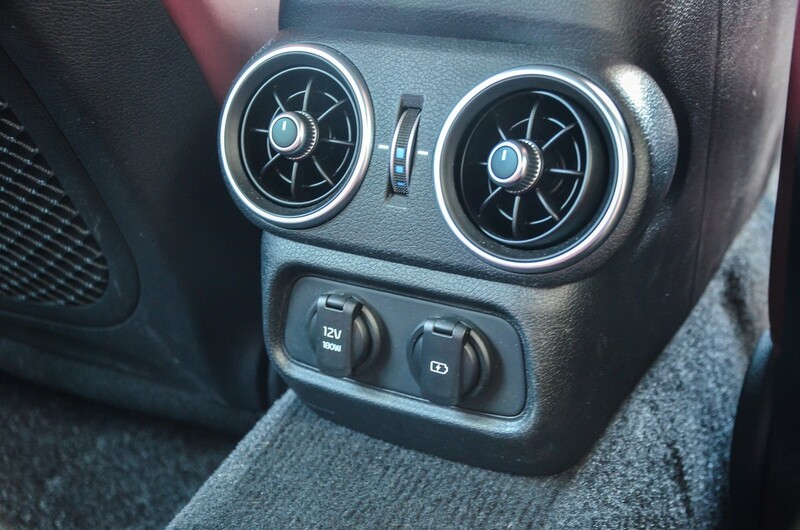 Used examples of the Stinger are offered for sale on Cars.co.za. 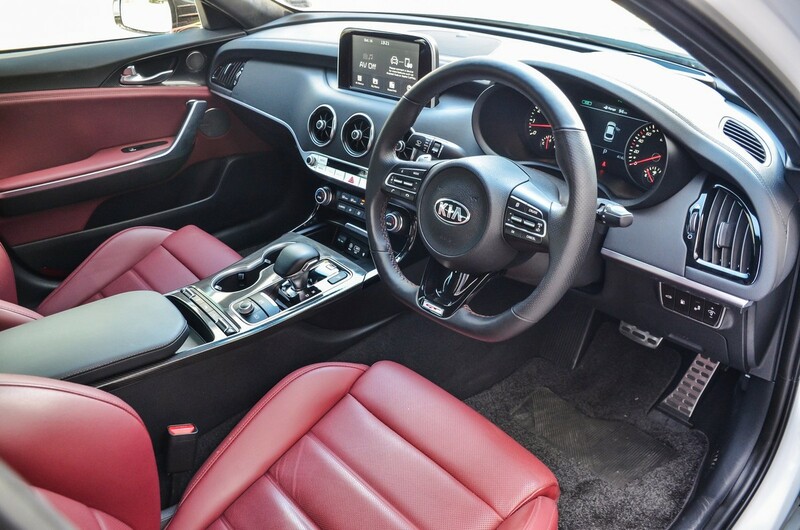 Some Kia dealers regularly offer specials: Have a look here. 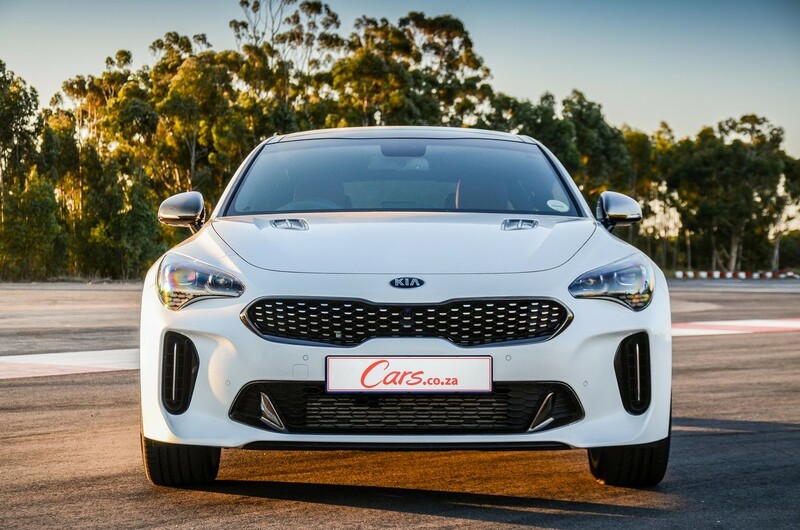 The Stinger's frontal execution, with its slimline, extended tiger-nose grille and liberally-vented bumper, is a sports sedan staple. Well, in Kia’s stable, it’s hard to say. 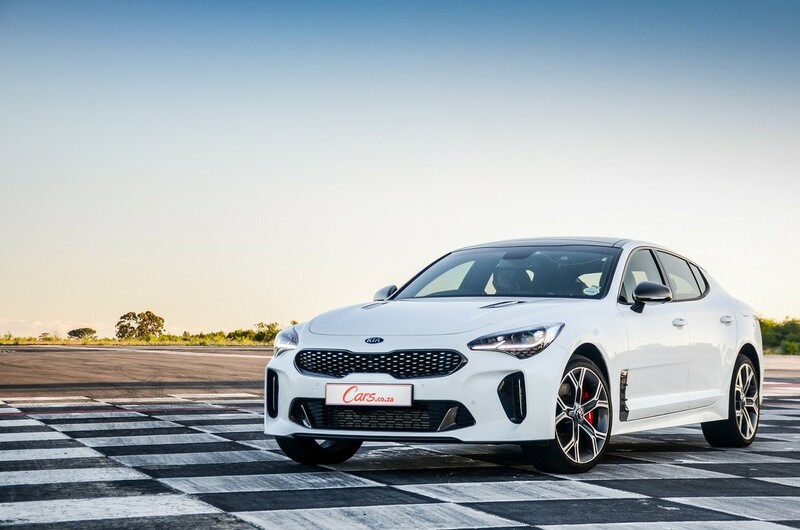 SUVs and compact hatchbacks are the Korean firm’s bread and butter in the South African market, and the Stinger wasn’t even sold via Kia’s mainstream dealer network: it had its own online pre-order portal as part of a personalised sales experience. On the larger automotive landscape, Kia has entered a completely new territory, and in particular the upper reaches of the business-class sedan segment; although sales are but a trickle, the likes of Audi’s S5 Sportback, BMW 440i Gran Coupé and Mercedes-AMG’s C43 sedan hold considerable sway in that rarefied market space. The Stinger has its work cut out if it’s to emerge unscathed from this brawl with the Teutonic trio. 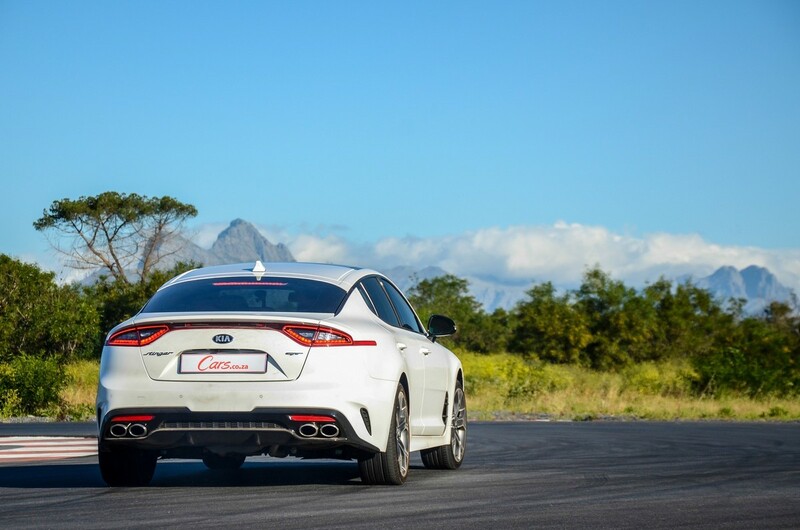 Even if the rear spoiler-lip is rather subtle, the quad exhaust ends signal the Stinger's sporty pretensions clearly. Before any quantifiable aspects of the Stinger are even brought into play, massive kudos are due to Kia for even entertaining the notion of a model such as the Stinger, let alone actually building it. 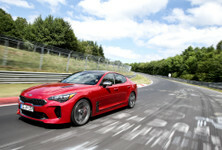 Furthermore, the practical impossibilities of directly translating the 2014 GT4 Stinger concept’s bold packaging into practical production fare has seen Kia compensate by trumping the concept’s 235 kW, 4-cylinder engine with a gutsy twin-turbo version of its 3.3-litre Lambda II V6 engine – a staple of Hyundai’s larger Genesis models – feeding 272 kW and 510 Nm to the newcomer's rear axle. That V6-powered rear-wheel-drive arrangement is always a configuration that sets petrolheads’ hearts racing, and the Stinger does just that. From the moment you ensconce yourself in that bolstered (but comfy) drivers’ seat and press the starter button to hear the beefy V6 wake with a muffled baritone, you know Stinger is about to serve up something special... especially that wad (510 Nm) of torque that arrives with just 1 300 rpm indicated on the rev counter. Perhaps most satisfying is the 8-speed transmission’s willingness to hang tenaciously onto the revs when the throttle is pinned. Even when you're not using the shift paddles, the 'box doesn’t release its grip on each ratio until the rev needle sweeps to 6 300 rpm. 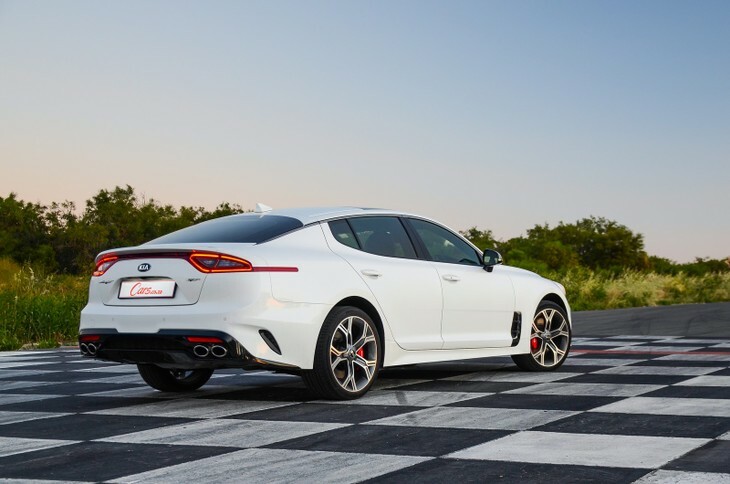 It doesn’t take a mighty stomp on the accelerator to set the tail squirrelling off the mark, and this playful introduction shows the Stinger’s electronic stability control is flexible enough to allow for some shenanigans. 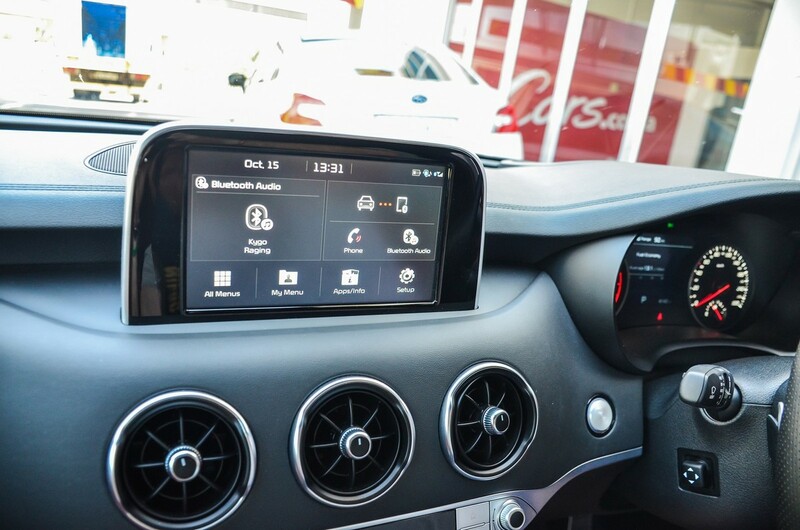 The system allows you to tailor your driving experience via no fewer than 5 drivetrain management presets, including automatic and customisable Individual settings. 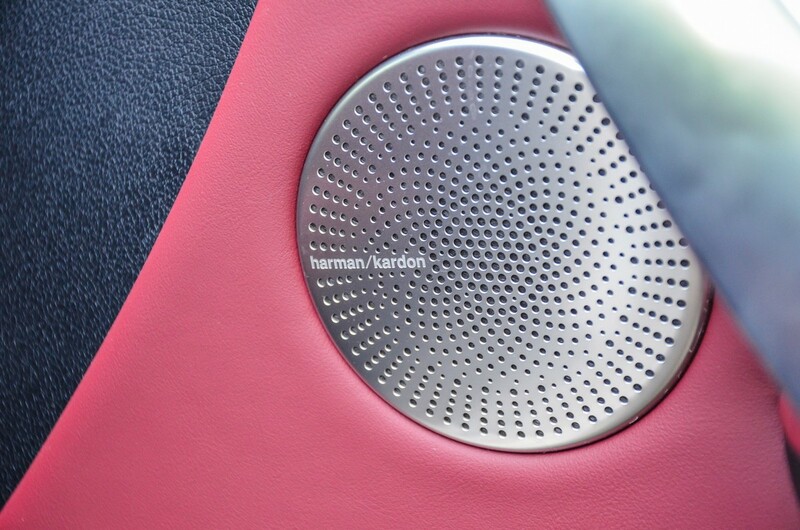 The steering, while not Audi-heavy or BMW-alert, is responsive enough to communicate the tail’s measured transition from grip to slip. 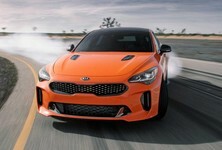 In fact, with the traction control deactivated and the Stinger in its sportiest drivetrain preset, this Kia unearths something of a rarity in contemporary performance car lore... With its mechanical limited-slip differential coming into play, it’s possible to tuck the Stinger’s nose into fast corners before washing its tail wide in an exciting (but easily controllable), throttle-balanced slide. Point-and-shoot performance isn’t shabby, either. A clean break off the line will see 100 kph from standstill pop up in a claimed 4.9 seconds, while the limiter only tugs at the reins at 270 kph. 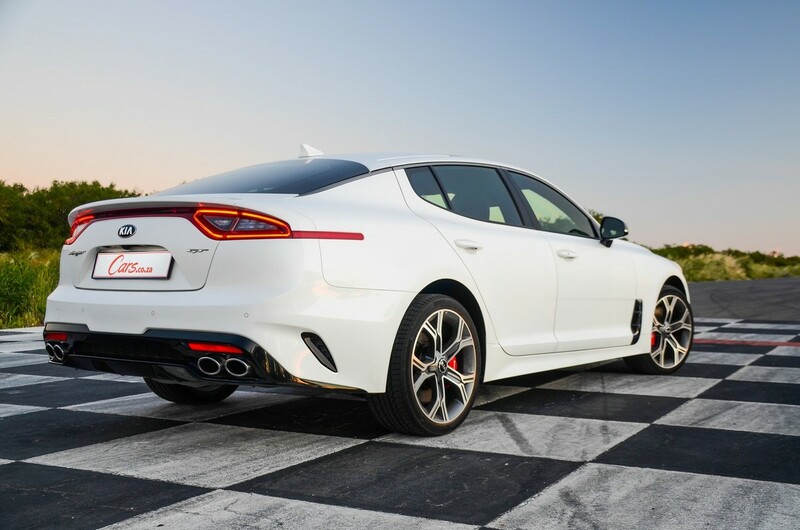 In all, the Stinger is more than capable of holding its own against its German rivals, performance-wise. 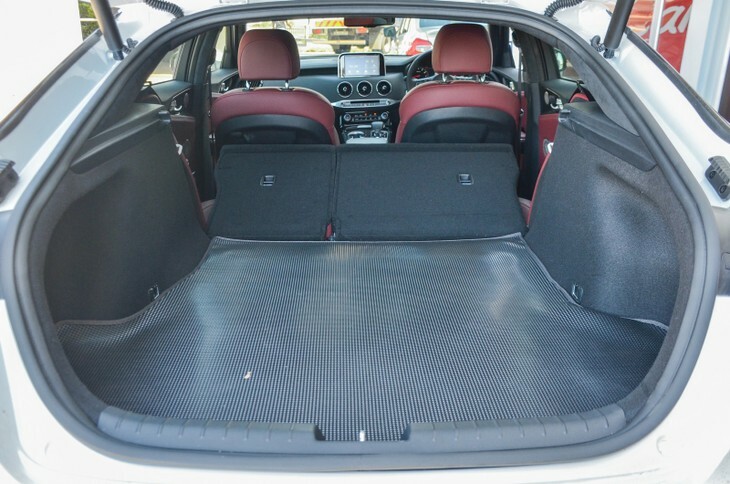 Going the performance car route is often an exercise in compromise; considerations such as rear passenger accommodation and luggage space often get lower billing to power and driveability. In this regard, the Stinger is one of those rare beasts that allow you to have your cake and eat it. 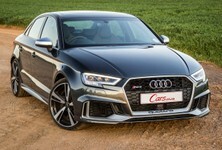 That lengthy frame incorporates a 2 905 mm wheelbase, which is comfortably longer than those of its rivals. 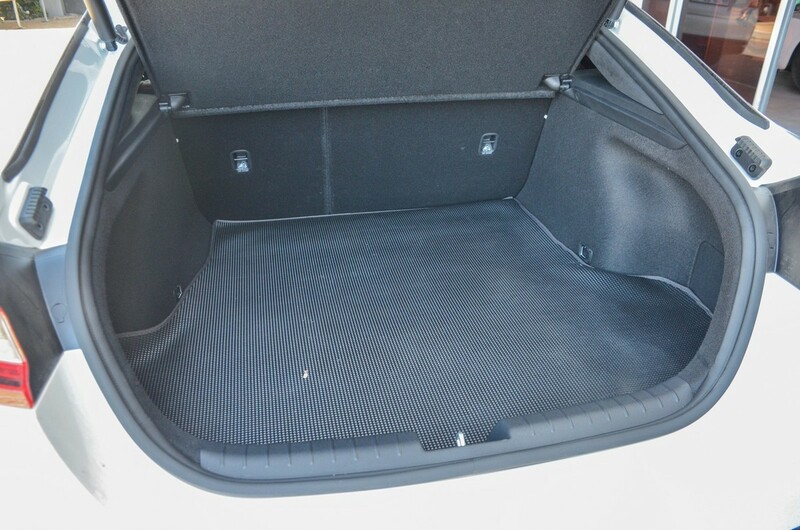 The upshot is plentiful rear legroom and, when you lift the tailgate, you find a deep 406-litre load bay, which can, of course, be extended by folding the 60/40 split seatback forward. The Stinger has its opposition well and truly licked in terms of rear legroom. 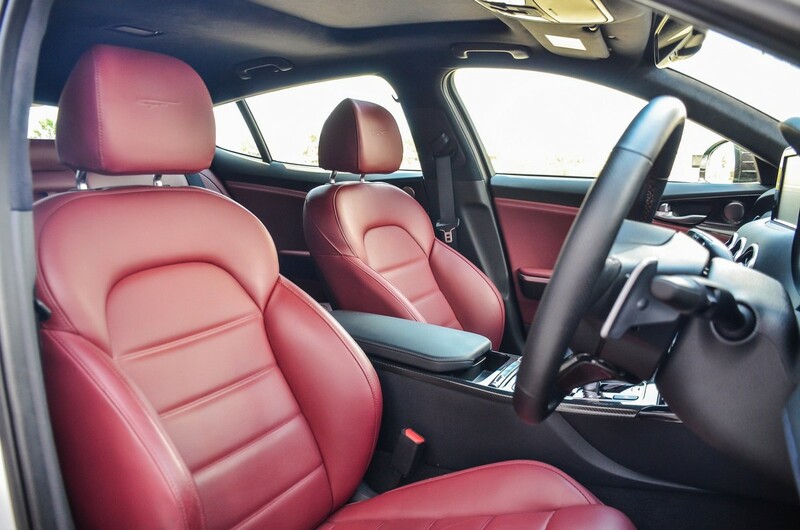 The scarlet leather trim is an acquired taste, however. 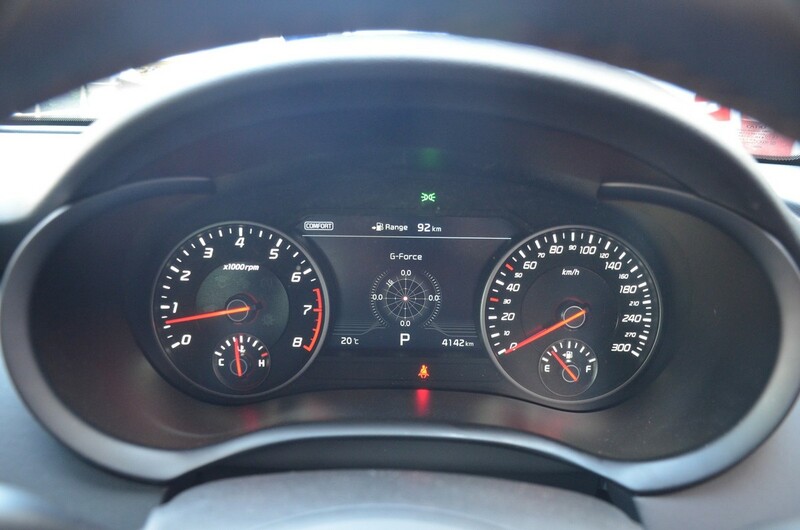 When it’s not smoking its tyres, the Stinger is an accomplished long-distance cruiser, with a cabin that’s well-insulated, with comfy seats and a ride quality that's thoroughly composed at a constant speed. The transmission, which was keenly dropping cogs and responding alertly to throttle inputs before, now seems to exhale and trickle smoothly through the ratios. Stingers destined for other global markets feature an adaptive damping system supplementing their MacPherson strut front/multilink rear suspension setup, but that option has been nixed for South Africa. 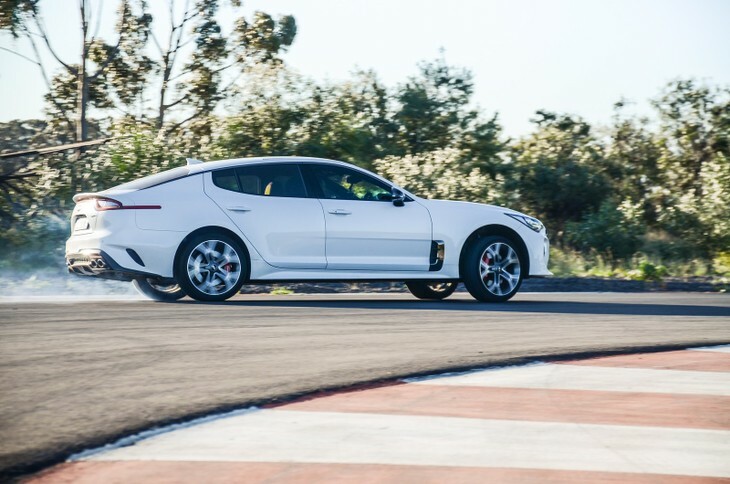 It’s not a bad thing necessarily, as the SA-spec Stinger's unassisted arrangement manages to strike a very neat balance between smothering road surface choppiness and keeping the Stinger’s body in check when lateral forces start redistributing its 2 315 kg mass. The fastback configuration might be a bit estate-like for purists, but as is the case with the Stinger's Audi and BMW rivals, it boosts practicality. While more enlightened (or open-minded) buyers will appreciate the Stinger as both a ballsy exercise in engineering and a capable sports sedan in its own right, there’s an inevitable element of brand snobbery that will see some folks dismissing it in favour of its German rivals. 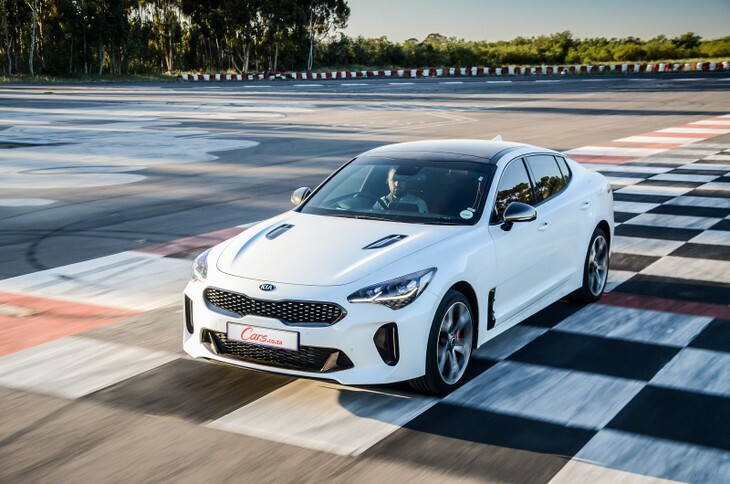 Indeed, the idea of shelling out nearly R900k on a Kia (that's the approximate price nearly-new Stingers were being advertised for at the time this review was published – January 2019) may seem difficult to digest, but buyers can take solace in the fact that the total number of Stingers earmarked for our market (but a handful) is likely to lend it a degree of exclusivity that should hopefully allay fears of steep depreciation, well, at least to an extent. The Stinger's driving position is eminently engaging and the neat, decluttered fascia features just enough chrome garnishes. 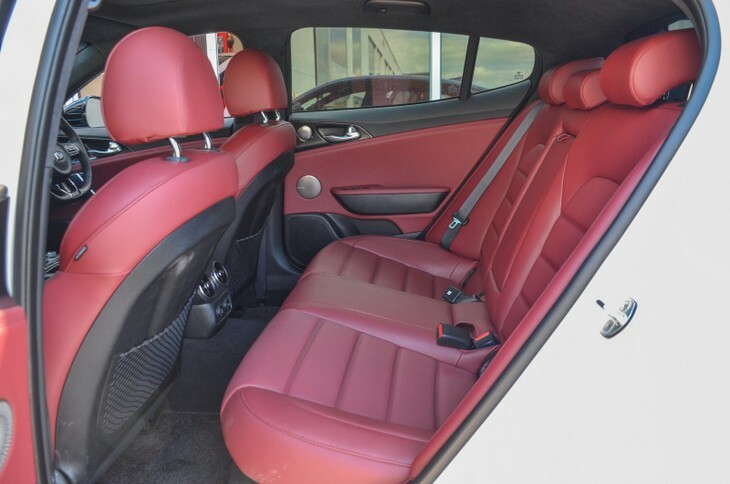 Again, it’s a minor smudge on the Stinger’s otherwise high sheen, but the cabin, although sportily styled and ergonomically spot-on, still sees stitched and soft-padded trim sitting awkwardly alongside some less-than-plush plastics. Ordinarily, this would be a minor concession, but given its target audience is one that’s difficult to tear away from the comfort of familiar German premium-marque fare, it’s a handicap the Kia doesn’t need. The Stinger cost R849 995 when new, including a 5-year/100 000 km maintenance plan and a 5-year/unlimited-kilometre mechanical warranty. 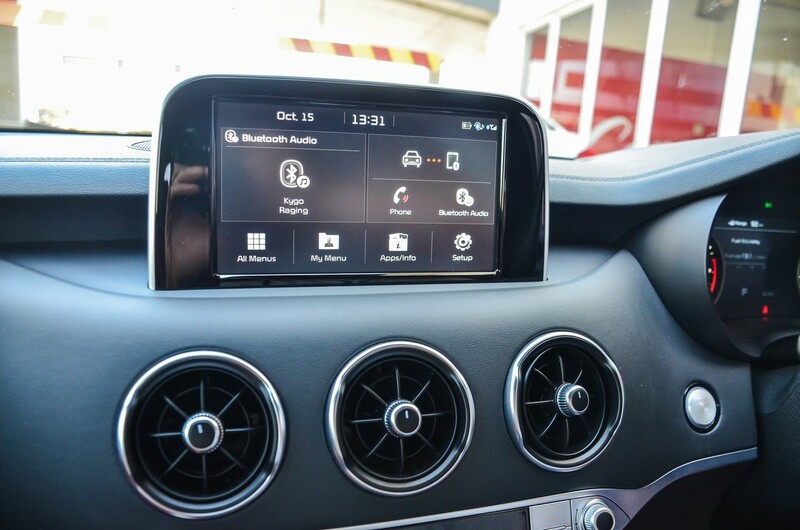 Standard features include: bi-functional LED headlamps with dynamic bending, electrically-adjustable front seats (with memory and lumbar support for driver) and steering column, head-up display, a 15-speaker Harman/Kardon Premium audio system, touchscreen infotainment with Apple CarPlay, Android Auto and navigation, 3-zone aircon, heated seats (all round), surround-view monitoring system (including reverse-view), park distance control (front & rear), electrically powered tailgate and heated and auto-folding side mirrors with integrated indicator lenses. 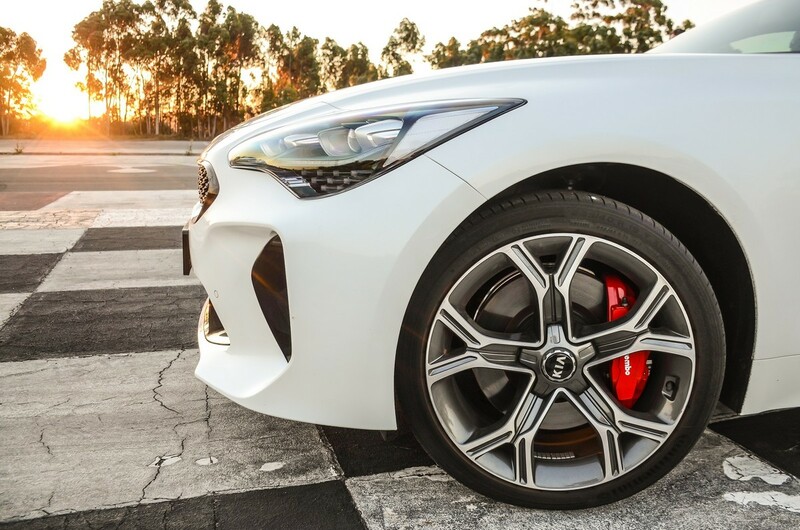 The Stinger's handsome 19-inch alloy wheels and red Brembo brake callipers add considerably to the sedan's kerb appeal. 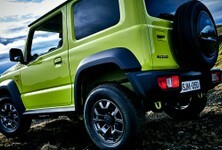 It’s one thing Kia exhibiting the courage to dip its toe into unknown waters, but quite another for actually doing it. Far from being thrown to the wolves, the Stinger, with its mixture of punchy playfulness and a well-mannered motorway demeanour, capably takes a swipe at the German establishment. 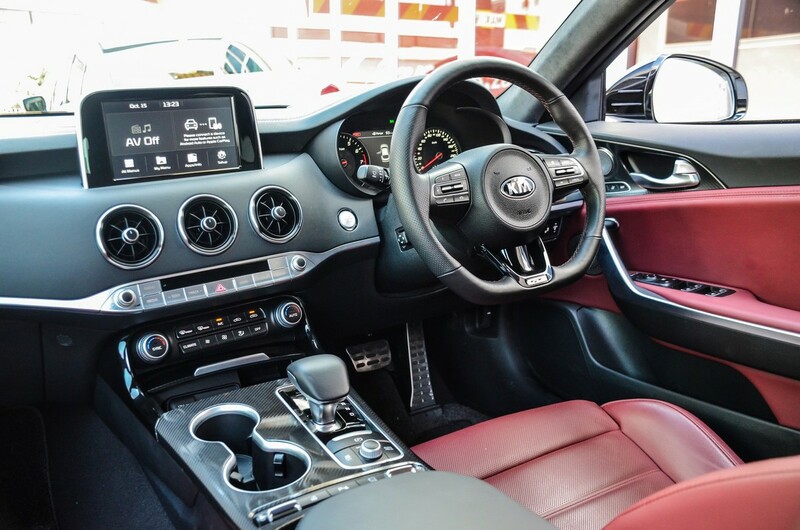 It’s not for everyone; the Kia badge may be difficult for some to reconcile with this segment, the muscle-bound styling will divide opinion and there are some shortcomings in the trim finish department, but it’s fast, fun and exclusive enough to warrant considerable merit. It’s the torchbearer in terms of perceived quality and a strong, flexible engine coupled with a tenaciously grippy AWD system helps it rocket off the mark. 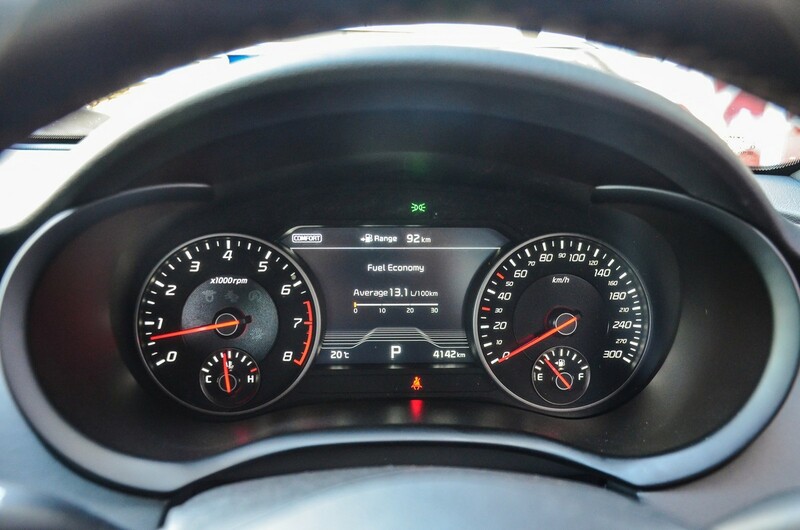 It’s a bit anodyne to drive quickly, though. Handsome, nimble and possessed of a smooth, yet punchy inline-6 engine that feeds the rear wheels. The styling is divisive, though, and standard specification’s not a patch on the fully stocked Stinger. 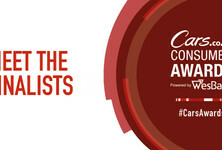 The 2018/19 Cars.co.za Consumer Awards – powered by WesBank category champion's 4-cylinder turbo doesn’t have its rivals’ outright grunt, but it’s still a comfy yet capable car and, like the Stinger, is a distinctive but leftfield choice. Handsome and much for affordable (in this line-up).